In honor of this release, check out these fun printables! · Sing-Along Mode – Sing along to the movie in this sing-along version of the film. · Alan Menken & the Leading Ladies Song – From the voice of a mermaid to the tunes of a muse, the music of Alan Menken has scored the soundtrack for some of Disney’s most iconic leading ladies. Join Alan, Jodi Benson (Ariel), Paige O’Hara (Belle), Judy Kuhn (Pocahontas Singing Voice), Lillias White (Calliope) and Donna Murphy (Mother Gothel) as we celebrate the music of their films in honor of the one that started it all … “The Little Mermaid.” In this discussion, the ladies will share their memories of musically creating their characters with Alan, discuss what it means to be part of the Disney Princess/leading lady legacy and create new memories as they sing with Alan around a baby grand piano. 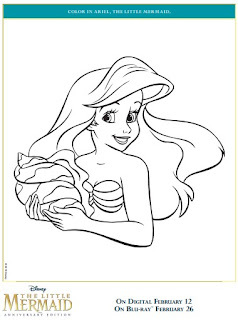 · “What I Want From You…Is YOUR VOICE” – Enter the recording studio and get an inside look at the cast of “The Little Mermaid” in their original recording sessions. · Stories From Walt’s Office – Gadgets & Gizmos – Like Ariel, Walt Disney was a collector of many different things from miniatures to early mechanical characters that inspired the invention of audio-animatronics. We take a look at some the collections that Walt kept in his office in the third episode of this series. 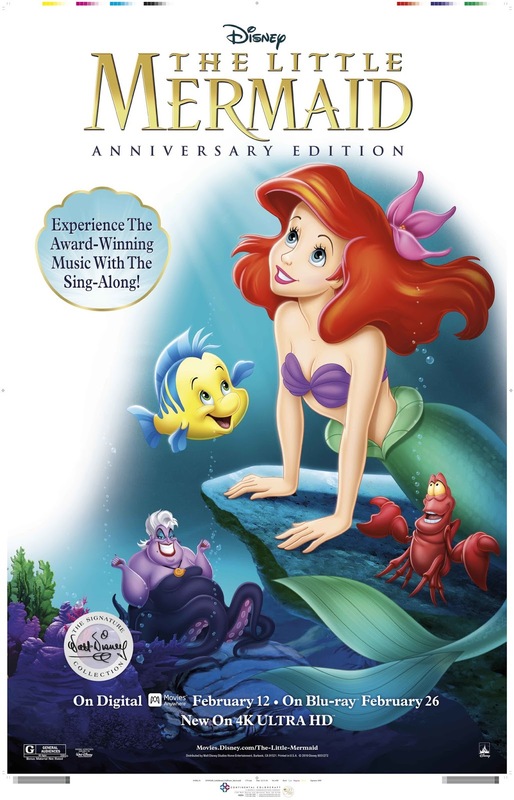 · “Part of Your World” - A 30-Year Retrospective – Songwriter Alan Menken and Jodi Benson, the acting and singing voice of Ariel, sing the epitome of Disney “I Want” songs “Part of Your World” and discuss its impact since it was first heard 30 years ago. · Classic Bonus Features – Over 3 additional hours of previously released classic bonus features including Deleted Scenes, Easter Eggs, Music Videos and more!